General Park News - (4/19/19) MouseSteps has posted a new photo update from Epcot’s International Gate located at the back of the World Showcase area allowing guests to walk and take water-taxis to the various Epcot Resorts, and even take the water taxi all the way over to Disney’s Hollywood Studios. The gate is surrounded by construction walls currently while the entrance is expanded to handle the increased crowds that will soon come via to the new Disney Skyliner aerial tram system. (4/10/19) Walt Disney World announced that the 2019 Epcot International Food & Wine Festival will stretch itself out once again to a record setting 87-day run, from August 29 through to Nov. 19th. This will quickly be followed up by the 2019 Festival of the Holidays event from Nov. 29 through Dec. 30th. (3/14/19) OrlandoParksNews has posted a huge new photo update from Epcot this week, showing off the Flower & Garden Festival decor, as well as a peek at the construction of the Guardians of the Galaxy, Ratatouille and just announced Play Pavilion construction projects. (11/20/18) The latest posted on the Disney Parks Blog confirms at the bottom that Disney is “in the process of updating the existing O Canada! 360-degree show”. No more details were listed, so we don’t know if this will just be a small update to the existing film, a technical update to the projection technology, or something much bigger and more involved. Anyone know more? Kerry Butler (Beauty & the Beast) & Kevin Massey (Tarzan) – Jan. 18, 19, 22, 23, 26. Meredith Inglesby (Little Mermaid) & Steve Blanchard (Beauty & The Beast) – Jan. 20, 21, 24, 25, 27. Arielle and Adam Jacobs (Aladdin) – Jan. 28, 29, Feb. 1, 2, 5, 6, 9. Heidi Blickenstaff (Freaky Friday) & Gavin Lee (Mary Poppins) – Jan. 30, 31, Feb. 3, 4, 7, 8, 10. Ashley Brown (Mary Poppins) & Josh Strickland (Tarzan) – Feb. 11, 12, 15, 16, 19, 20, 23, 25. Kissy Simmons & Alton Fitzgerald White (Lion King) – Feb. 13, 14, 17, 18, 21, 22, 24, 25. (9/4/18) According to several reports Spaceship Earth at Epcot closed down over the weekend after a "water leak" was discovered inside the giant sphere. Original reports on social media were claiming it may have been some kind of hydraulic or HVAC coolant leak, but according to the Orlando Sentinel it was just water. The ride was set to be inspected on Monday morning and did reopen for guests that day. (7/7/18) Epcot has released the first list of details and narrators for the 2018 Candlelight Processional which will start on Nov. 22nd. Details about how to get dining packages can be found at the Disney Parks Blog, and those will go on sale starting July 11. The list of celebrity guest narrators thus far includes: Neil Patrick Harris, Whoopi Goldberg, Chita Rivera, Blair Underwood, Gary Sinise, Pat Sajak, Edward James Olmos and Jodi Benson, with four more mystery spots to still be announced. (5/19/18) I'm told that a new sit-down table-service restaurant is coming to the Japan Pavilion inside Epcot. Unfortunately I'm not sure exactly where it will go, nor do we have a timeline as to when we can expect to see it open. If anyone knows more, please let us know. (3/16/18) Always the most popular special event of the year for Epcot, Disney has already announced the dates for the 2018 Epcot Food & Wine Fest which will take place from August 30th through to November 12th, 2018. (2/14/18) Disney has reopened The American Adventure show at Epcot this week, which returns with some all new digital projection screens, some new additions and a new version of the Golden Dreams song. You can see some photos of the new show improvements along with some video clips includes in an update posted to WDWNT. (1/18/18) I'm told that the Circle of Life movie attraction at Epcot inside The Land pavilion (in the Harvest Theater) will close forever at the end of February 3rd. The old theater attraction has been running with the current program since 1995. 2019 - Outer Space Restaurant - Confirmed - (11/14/18) A new job posting from the Patina Restaurant Group offers some extra details about the future Space themed restaurant coming to Epcot between Mission: Space and Test Track. According to the posting they are calling it “Space 220”, but I’m not sure if this is simply a temporary project name or possibly the actual name. They are looking to recruit international employees to work in the restaurant to give it an International Space Station feel with a number of European candidates to be considered for 12 to 15 month long work programs. (7/26/18) Things are progressing for Epcot's new Space themed restaurant with land cleared out behind the Mission: Space attraction (on the right hand side) where the new restaurant will apparently be reached by traveling through an unused two-story corporate lounge building hidden behind the trees near the outdoor queue area. According to a report at OrlandoWeekly, the idea is that guests will be transported from Epcot up to outer space via a 'shuttle' experience, done by elevators outfitted with floor to ceiling video screens to showcase the journey into space and back for the diners. With work just starting, I'd expect to see this thing open by late 2019. (5/11/18) While we haven't heard anything about the announced Space themed restaurant coming to Epcot since it was announced last year, the Disney Parks Blog did bring it up again this past week, along with a confirmation that it would be located in a space between Mission: SPACE and Test Track. They also confirm that the new restaurant will be operated by the Patina Restaurant Group who also runs Tutto Italia and Via Napoli at Epcot, as well as the Morimoto Asia and Maria & Enzo's Ristorante in Disney Springs. So we've got a few more tidbits and confirmation that the project is still in the works, but unfortunately we still don't have a timeline as to when it will open. (7/20/17) In an interesting development, Disney confirmed a number of changes were coming to Mission: Space soon, as well as the addition of a new outer space themed restaurant experience where you can dine while gazing upon the stars and looking down at the Earth below. Yes... Disney is building a restaurant that will literally appear to be out of this world. According to the official description it will "be located adjacent to the park's Mission: SPACE attraction". There is a little room on the side near the exit of Mission: SPACE, but the biggest section of available space would be on the right side of Mission: SPACE near the backside of the attraction, close to the outdoor straight-away section of Test Track. This would let it bump up against the existing service road and be perfect for food deliveries to the kitchen. Plus the fully enclosed and nature of the restaurant would allow for it to exist here and have the loud buzzing of Test Track next door go entirely unnoticed. According to Disney the restaurant will be run by the Patina Restaurant Group who already operates several eateries on Disney property including the popular Tutto Italia and Via Napoli in Epcot, as well as Morimoto Asia in Disney Springs. No official word on when it might open however. As expected, this is another part of the multi-year transformation plans Disney has to upgrade Epcot. These plans also include the already announced Guardians of the Galaxy themed roller coaster replacing the Universe of Energy attraction, the Ratatouille dark ride being added to the France pavilion in World Showcase, and a new space themed table-service restaurant under construction next to Mission: SPACE. Disney also promises that there is even more to come as the Epcot experience is upgraded for the next generation. I have to admit, while it is time for Reflections of Earth to be replaced by a new show after a nearly 20 year run, I will also miss the currently show horribly once it is gone. All said and done, I’ve already regarded Reflections of Earth as the pinnacle of all of the Disney’s nighttime spectacular shows, perhaps in a tie with the original version of Fantasmic! from Disneyland. There is just something powerful about the show overall... a mix of an intense musical score mixed with spectacular pyro and other visual effects that just has the ability to reach inside a person and touch your soul in a way most other shows just can't. You know how the old saying goes, “Don’t mess with perfection”, but Disney’s had nearly two decades to think this through and come up with a way to top Reflection of Earth, so I can't wait to see what they come up with next. (7/27/18) According to the Orlando Sentinel's report on the upgrades coming to the World Showcase lagoon at Epcot, this is a nearly $2 million upgrade project that will heavily upgrade the electrical infrastructure around the lagoon. They also confirm that the new conduit into the lagoon will be to run lines out to one of the islands in the lagoon. (7/26/18) Is Epcot finally getting ready to upgrade their night show? As much as I love Illuminations: Reflections of Earth, the show is 19 years old at this point, and long overdue to be replaced by something new. Certainly a new night show has been talked about in the rumor mills for years now, as it is only a matter of time. But that time may be now, as I'm told early permits have been filed and put into play to perform a very expensive update to various infrastructure around the World Showcase lagoon, as well as run some electrical conduit from the shore out to a structure in the lagoon. I'm not sure if this means they will be building some kind of stationary platform out there, or if they are trying to wire up the small islands already in the lagoon. (11/14/17) In interesting article has been posted at Forbes about Disney's fireworks shows, and of course this leads to focus the rest of the article about what may be Disney's greatest and longest playing fireworks show of all time: Illuminations: Reflections of Earth at Epcot. The article is a good read, especially in the lengthy interview with the show's musical composer, Gavin Greenaway who worked with show director, Don Dorsey to create the park's masterpiece night show which has been running since 1999. Towards the end they mention Disney appears to be working on a new show concept that would feature "sweeping fountains on the lagoon and what appears to be a giant curved LED screen". According to Gavin, he really doesn't know anything about it, and confirms that neither he or Dorsey are involved with whatever new production is in the works. He's fine with that however, as he would rather not have to be one to get compared to Reflections of Earth anyway... as there will always be the inevitable debate about if the new show and music are better than the old show or not. (7/10/17) Another rumor about the one project that we all know is going to happen… a new version of Illuminations is confirmed to be part of the Epcot renovation plan. No word on exactly when this will happen however. By 2021 - Guardians of the Galaxy - (3/24/19) Screamscape sources tell us that they spotted the top section of track being installed onto the Guardians of the Galaxy coaster at Epcot this week. We’ve already seen the track installed for the launch from the old Universe of Energy building that starts to rise up a steep hill to enter the new coaster building structure near the top. The new track piece(s) are here, and appear as if the track will take an extremely hard roll to the right as you hit the top of the hill. The interesting thing is it was described as looking similar to what Incredible Hulk does at the top of it’s launch-hill, but but minus the full inversion. Given the spinning nature of the ride cars, the launch and incline, this could provide for a really interesting negative-g moment for the riders if the car were to spin to the left at the apex of the hill as the track rolls to the right, and then taking a steep dive towards the ground inside the structure while completing the spin to face the rider’s backwards, giving everyone a very nice and awkward feeling twisting negative-g airtime float. (11/30/18) We’ve been waiting for the moment, as it appears that the first piece of track (that we can see at least) has been installed for the Guardians of the Galaxy coaster at Epcot. If I had to guess, you’ll probably hit this sharp rise up into the large building at the end of the launch tunnel that bridges the gap between the new and old buildings. Disney also re-confirmed that the attraction will open in time for Walt Disney World’s 50th anniversary in 2021. (11/13/18) A new collection of photos showing off the progress on the Guardians of the Galaxy attraction at Epcot can be found over at OrlandoParkNews.com this week. (11/2/18) The coaster track and supports (painted black of course) for the Guardians of the Galaxy themed ride going into Epcot has finally started to arrive on site. I knew it had to happen sooner or later because they’re quickly starting to seal up the building walls. As I mentioned previously, the assembly of this project has been interesting because it was being done in reverse order to how Rock ‘n Roller Coaster was put up. Back then they poured the giant pad, set up the coaster and then put up the walls and ceiling and sealed it all up inside. (10/20/18) Back in March Screamscape pointed you all to view some photos taken at a Vekoma test facility in Europe featuring a new prototype creation set up on a test track. It featured what looked like your typical Vekoma 4-passenger sit-down coaster car frame, but instead of mounting it to the chassis like normal, it was mounted to what appeared to be a turn-table system, which was then mounted to the chassis. As I pointed out back in March, this was not your typical “free spin” style set-up, but rather this looked like a system in development for controlled rotation of the riders in order to point them in specific directions at specific moments during the ride experience… in other words… exactly the same kind of thing that Universal built for their Harry Potter themed “Escape from Gringotts” coaster in Diagon Alley at Universal Studios Florida. If you need a refresher, you can see these those photos posted here. Go ahead, take a quick look, I’ll wait. The rumor sent to Screamscape at the time was that this new controlled spinning coaster car system was the prototype for Disney’s new Guardians of the Galaxy themed coaster under construction at Epcot. All along the constant rumor about the Guardians coaster was that it would feature spinning cars (and a launch system) in some fashion and now BlooLoop reports that Disney has filed for a patent for exactly this kind of rotating roller coaster vehicle system, which seems to confirm that this is indeed the Guardians of the Galaxy ride system. I’m a bit curious to know what unique features that Disney is using for this patent that would mark it as being different from the Gringotts’ system which I believe is developed by Universal and Intamin, but that’s another story to ponder. (10/13/18) A new fantastic aerial shot of the Guardians of the Galaxy coaster coming to Epcot was posted on Twitter Friday night, showing off the massive new ride building and the framework for the connecting tunnel that will serve as a bridge between it and the former Universe of Energy building. One interesting item I’ve noticed about how this attraction is going up is just how different this is compared to how Disney built Rock ‘n Roller Coaster. In the case of RNRC, they poured the large concrete foundation pieces and then put up the entire coaster out in the open first, then when finished they installed the walls and roof to enclose the ride inside. With this project, there isn’t a single section of coaster track to be seen anywhere and the roof is on the main building, so all the track is going to have to go in through the side walls which could make assembly a bit tricky. Aerial view of the Guardians of the Galaxy show building. Some tall beams on the connection to the former Universe of Energy. Also a tall triangular frame that seems to be for theming. (9/28/18) A reader heading out of Epcot the other night spotted the work lights on inside the future Guardians of the Galaxy attraction entrance building and snapped a few quick pictures showing off the work taking place inside. (9/19/18) The latest photos of the Guardians of the Galaxy attraction under construction show off that the walls of the former Universe of Energy pavilion have been removed and the interior of the structure has been gutted. The rumored plan is that the former pavilion will be used to hold the indoor portion of the ride queue, the load and unload stations, a few early scenes for the ride before it jets off to the new building structure, and… of course… a gift shop at the exit. (7/9/18) A couple of photos on Twitter show off the current state of the Guardians of the Galaxy coaster building, rising quickly backstage at Epcot. (6/26/18) A quick look at the progress on the huge building under construction for the Guardians of the Galaxy ride can be seen below. (6/13/18) A good new picture posted to Twitter shows off an aerial look at the new building under construction that will house the main portion of the new Guardians of the Galaxy coaster track. Also worth noting, you can see the colors changing on the domed roof of the former Wonders of Life Pavilion to the left, as the structure is being refreshed for some new unknown purpose. Also take a look in the background and you can see a large clearing being made next to the Monorail track as it heads from Epcot towards the TTC. As previously noted in our coverage of the rumored Epcot Resort project, Disney did file plans to do just this, with the site along the track being cleared to create an all new and very large water retention pond that will be almost twice the size of the lagoon in the middle of World Showcase, running from where you see the work starting here all the way down to World Drive. (6/4/18) The large steel wall frames for the huge new Guardians of the Galaxies ride building are starting to go up and apparently you can get a great look at them as you pass by on the monorail going into Epcot. You can see a few pictures sent in by a reader over the weekend. (5/5/18) Remember that massive concrete pour that we mention was taking place at Epcot last week for the new Guardians of the Galaxy coaster? Disney has posted a fun little recap video of the massive undertaking that took 17 hours and 960 truckloads of concrete. (4/30/18) There was a parade of cement trucks pouring into Epcot (get it, "pouring"?) the other day as a massive concrete delivery was taking place to form the giant pad needed for the new Guardians of the Galaxy building backstage. You can see a couple of photos of the action below. (4/21/18) A couple of good pictures posted to Twitter show off the construction progress on the new building foundation going in behind the scenes at Epcot for the new Guardians of the Galaxy coaster ride. (3/23/18) In late January Screamscape reported about a new piece of test coaster track being put together at a Vekoma test facility in Europe. Now all new pictures have been added to this same photo link showing off a crazy new prototype coaster train now running on those same tracks. What's odd about this new train design is that while they seem to have mounted a typical modern Vekoma coaster car to it, they have it mounted up high, sitting on top of a circular mounting system, that gives me the impression that it is designed to allow the coaster cars to spin. However, the size of it all does not look like the kind of mount that would be used to allow for a freely-spinning system, but rather this looks built to allow for controlled spinning of the cars. Controlled in such a way that they could point the riders at specific scenes as the train passes by... not unlike what Universal Orlando did with Harry Potter and the Escape from Gringotts attraction. Even better... the popular rumor is that this new prototype ride system in development is for Walt Disney World's new Guardians of the Galaxy themed coaster coming to Epcot. All along I had heard this attraction would be some kind of new spinning coaster design, and this looks to fit the bill perfectly. Stay tuned! (2/14/18) While not much more was revealed, Disney did confirm that the new Guardians of the Galaxy attraction coming to Epcot would indeed be a roller coaster. They also mentioned it would be "one of the world's longest enclosed roller coasters", and be a one-of-a-kind family attraction with "a new innovative ride system". It will be ready to open in time for the Walt Disney World 50th Anniversary in 2021. (1/30/18) Disney has filed a work permit to begin needed electric work valued at over $2 million was also filed for more electrical work needed at Epcot for a “Project S”, which is believed to be for the new Guardians of the Galaxy ride. While the former Universe of Energy ride building is wired up of course, remember that the Guardians attraction will require the building of a much larger new structure backstage that will contain the majority of the actual attraction. With the paperwork now in progress, I’m guessing see work start on this new structure in the next few months. Always a bonus to get all the ground-work out of the way now before the wet Summer season begins. (12/11/17) While I had hoped the new Guardians of the Galaxy coaster at Epcot would be a Mack Spinning Coaster in my last post, digging a little deeper with sources revealed that the ride is apparently going to be a new Vekoma coaster after all. No word on what style ride it will be then, but as far as I can recall, I don't believe Vekoma has built a spinning coaster to date, though I think they did pitch a design for one years ago that had inward facing seating instead of outwards. So now I'm very curious as to what kind of ride is in store for us. (12/8/17) WDW News Today has posted some new rumored details regarding the Guardians of the Galaxy coaster coming to Epcot. While we still don't have a timeline, they do shore up all the previous rumors claiming that the old Universe of Energy building will be used primarly as a themed queue experience and loading station for t he new coaster thrill ride. They also backed up our previous rumor that the new ride would be a launched coaster experience, and mention that it would be one lacking inversions. Of course, I know I never heard it would have inversions in the first place... tying into the one rumor we posted at Screamscape that they did not yet confirm... which claimed that the new ride may actually be a spinning coaster. While I really haven't heard too many details about this ride at all lately, my thought process at the time was that this could actually be a Launched Mack Spinning Coaster design. After all, Disney did just opt to buy the Slinky Dog Dash coaster from Mack instead of Vekoma for the Studios, so why not try to get a discount for a two-ride deal from Mack, right? In any case, I hope to find out a little more about this ride if possible going forward... now if only we could find out when it will actually open. (7/20/17) As rumored, Disney confirmed that a Guardians of the Galaxy themed attraction is on the way to Epcot that will replace the current Universe of Energy attraction. Few details were given other than it will be an E-Ticket attraction "based on the rockin’ and action-packed world of Guardians of the Galaxy". While Disney released some concept artwork for the attraction showing off what looks like a pre-show briefing room of sorts with Rocket and Groot standing in front of a window where the Milano (their starship) appears to be docked. The other piece of artwork shows that the old Universe of Energy building will be staying, and looks to have a Nova Corps fighter hovering over the fountain out front, along with Rocket and Groot talking to guests. Our sources still say that this will be a coaster style ride of some kind. While an exact date is not given, Disney did promise that the Guardians of the Galaxy attraction would be open in time for the 50th Anniversary of Walt Disney World in 2021. Universe of Energy is confirmed to be closing down on August 13, 2017. (7/10/17) As the biggest of the rumored new attractions, and one that seems to be holding water with permitting for the site already underway, Screamscape sources tell us that much of what we’ve already discussed about a Guardians of the Galaxy themed family coaster ride is very much true and in the works. (5/31/17) So far Guardians of the Galaxy seems to be a hit in California where they took over the West coast’s version of Tower of Terror, but with the Guardians rumored to also take up residence in Epcot, we’re looking at an entirely different style attraction. What could it be? Well… as usual, Screamscape takes a look at some of the latest rumors we’ve received and how they fit in with what we’ve seen from those new building permits last week. So far, from what I’m hearing the old Universe of Energy building structure will remain, but I’m hearing that we can expect it to be gutted and transformed for use for the new attraction. The early rumor sent my way long ago about this was that it was some kind of coaster style ride under consideration for the property, and adding to this possibility I’ve also heard it mentioned that the ride would feature some kind of launch track… which is apparently what will act as the bridge element between the old attraction building and that massive new building going out back. Speaking of that new building… would you believe that the early rumor is that it could stand as tall as 130 feet? Don’t worry, Spaceship Earth is 180 feet tall, and it will be located somewhere back behind the Wonders of Life dome, which is said to be about 80 feet tall all by itself, so it could possibly remain hidden for the most part. What else has Screamscape been told so? In a cryptic comment, it was mentioned that the new ride would put a new “spin” on Epcot… so could this be some kind of launched spinning coaster style attraction? (5/22/17) In an interesting update, WDWNT reports that the first permits have been filed for work at Epcot that seem to indicate that the end may be near for The Universe of Energy. Like what seems to always happen in Florida, the first signs of an impending construction project involve the paperwork and permits involving how the project will handle the issue of drainage and if any existing water retention ponds need to be moved, adjusted, or replaced. In this case the work site mentioned includes the removal of a water drainage canal that runs behind Universe of Energy and the closed Wonders of Life Pavilion which will be replaced by adding bigger ponds (or expanding the existing connected canal) that runs through a green area out into the last section of the parking lot behind there. One fun item of note however is the marking that show off the overall construction site for the project includes not just the huge green area where the new ponds and drainage canal will go, but mentions that the existing canal route (which will be filled in) but the project site boundary also includes the entire Universe of Energy structure, the area behind it, and a substantial section of the park's pathways in front of it. Essentially everything north of the pathway that runs from the Electric Umbrella / MouseGears area over to Mission Space will be affected. In another image there is a rather large rectangle shaped new structure, about the size of the Universe of Energy building, to go into the space directly behind Wonders of Life. Something that big must surely be for a major new attraction of some kind. And we know previous rumors were pointing to the arrival of the Guardians of the Galaxy in this general area not too long ago. (9/22/16) According to the latest rumors the Universe of Energy pavilion at Epcot could close down forever as early as January 2017, just after the busy winter holiday period is over. The persistent rumors claim that the attraction will be demolished to make way for a new Guardians of the Galaxy themed attraction, also heavily rumored to be some kind of new indoor roller coaster. Anyone able to confirm the upcoming closure? (8/22/16) Remember those rumors about a Guardians of the Galaxy themed ride coming to replace the Universe of Energy? The latest rumor claims that the ride will actually be an indoor high speed roller coaster style ride that would likely see the old attraction building taken down and a new structure rise instead. This is still a pretty far out rumor however, so I'm not sure how much truth there is to it, especially after Epcot just added two major new rides this summer. We'll have to wait and see I guess. ???? - Awesome Planet @ The Land Pavilion - (3/20/19) Disney has announced that a new film presentation is coming to The Land pavilion be to called “Awesome Planet”, along with confirmation of some other projects that have been in the works as part of the park-wide upgrade of Epcot. They don’t mention the exact location in The Land pavilion for Awesome Planet, but I can only assume it will go into the former theater space that was home to Circle of Life from 1995 to early 2018. 2020 - Remy’s Ratatouille Adventure / France Pavilion Expansion - (3/20/19) Disney has confirmed that an authentic Crêperie will be built into the France pavilion as part of the upcoming expansion that will bring the Remy’s Ratatouille Adventure attraction. According to the Disney Park Blog the new eatery will feature a menu inspired by the Brittany region of France and offer both table service and quick-service items. Look for these all to open in time for the 50th Anniversary of Walt Disney World. (11/20/18) Disney has confirmed the official name for the new Ratatouille attraction coming to the France pavilion at Epcot will be “Remy’s Ratatouille Adventure”. Meanwhile the pavilion will also open a new Beauty & The Beast “sing-a-long” show in 2019 in addition to Impressions de France show. (9/4/18) A great new aerial image shows off the progress on the Ratatouille ride building at Epcot behind the France pavilion as the green outer walls are starting to go up. Meanwhile clearing is also taking place directly behind the France pavilion likely for a little plaza area that will link up the old and new sections of the pavilion when they are finished. Meanwhile in the background, the yellow arrow is pointing to the station building construction for Epcot's Disney Skyliner aerial tram station. Aerial view of the Ratatouille ride show building, with green exterior going up. (8/27/18) I'm not sure why but apparently Disney has been surveying guests about possible names for the upcoming Ratatouille dark ride in Epcot. For some reason they seem to be trying to give it a rather wordy title, much like it's French counterpart which is known as "Ratatouille: L'Aventure Totalement Toquée de Rémy". You can see a bunch of different possible names are being tossed about in the tweet below, most of which seeking to work the name "Remy" or "Chef Remy" into the title rather that just calling it something simple like "Ratatouille: Kitchen Calamity". (6/26/18) A couple of new aerial photos of the Ratatouille ride building under construction at Epcot can be seen below. Looks like things are moving along very quickly as they put up the steel framework. Now there is still a lot of work left to do, but if you compare the progress of the structure in Orlando to the construction speed of the original ride built in Paris, we are still looking at about another 18-20 months until Ratatouille could be ready to open in Orlando. Translation... expect a very late 2019 to early 2020 opening date. (6/13/18) Take a look below at the latest aerial shot of the new Ratatouille attraction construction photo, which will expand the current France Pavilion at World Showcase into a much larger and more popular attraction. (4/21/18) The rising steel framework for the Ratatouille building in Epcot’s World Showcase is now becoming very visible from the park’s pathways. (4/14/18) A couple of fun new photos from Epcot were posted over at WDW News Today this week, including a look at steel beams rising from the France pavilion for the new Ratatouille dark ride expansion project, along with the first tower on site behind Epcot for the Disney Skyliner next to the International Gateway. (10/12/17) According to the OBJ, Walt Disney World has filed for a new permit for a “Project MI” which appears to be for the announced Ratatouille dark ride coming to Epcot’s France pavilion in World Showcase. The permit appears to be for the building of the basic building shell, foundation and utilities needed for the expansion project. (7/20/17) Disney confirmed at the D23 Expo that a Ratatouille themed dark ride will be added to the France pavilion in Epcot's World Showcase. Note that Disney doesn't say that it will be a clone of the Ratatouille ride built for Paris, they only say that it will be "Similar to the 4-D attraction Ratatouille: The Adventure", which makes me wonder if we could see some changes and improvements made to the ride experience. The rest of the description sounds pretty on-target for being a near-clone of the existing ride where "guests will be able to shrink to Remy’s size and scurry to safety in a dazzling chase across a kitchen with the sights, sounds and smells of Gusteau’s legendary Parisian restaurant." While an exact date is not given, Disney did promise that the new Ratatouille attraction would be open in time for the 50th Anniversary of Walt Disney World in 2021. (7/10/17) Much like the rumored Guardians of the Galalxy attraction, permits to allow for an expansion to the France pavilion have already been submitted and our sources tell us that as expected, the Ratatouille dark ride should indeed be on the way very soon. (6/24/17) As heavily rumored, it seems Disney has now filed the first permits that involve future construction around the France pavilion at World Showcase. According to the permit the area involved includes the entire area backstage of the existing France pavilion as well as the mostly empty pad that sits between France and Morocco, which you can see in the first attachment from the permit. Next take a look at the next image posted and I've overlayed the existing Ratatouille attraction from Paris over the available space in Epcot and you can see that they've got plenty of room to drop it right in, as is, if they wanted to within the work area and still have extra room to improve it, make it bigger, or whatever they intend to do here. By 2021 - Play Pavilion - (2/21/19) Disney announced some fascinating new items coming to Epcot in the near future just a little bit ago. The news included the confirmation that a new “First-of-its Kind” Play Pavilion attraction was coming and would inhabit the inside of the former Wonders of Life pavilion in Future World. The new pavilion will be devoted to “playful fun and feature an innovative city that’ll come to life”, “bursting with interactive experiences, your favorite Disney characters, hands-on activities and engaging entertainment”. Look for it to open to guests in time for the 50th anniversary of Walt Disney World. (5/12/18) Remember back awhile ago we mentioned there was a parade of Disney big-wigs touring the long-closed Wonders of Life pavilion shortly before it was announced that it also would also not be used any longer for the various festivals that take place throughout the year... which is pretty much all that goes on there anymore. Well, shortly after all this took place, guests began to notice crews cleaning and repainting the outside of the pavilion's golden dome. Jump ahead a few months later and the work is still ongoing, as seen in a new report to WDWNT, as the triangle panels are also being resealed to prevent leakage as well. The question is... just what is Disney's future plan for this building? By 2021 - New Park Entrance - (2/21/19) Disney confirmed that the entrance plaza to Epcot will soon be remodeled. The revised entrance plaza will be themed into a lush area with sweeping green spaces, new pathways and a reimagined fountain that will “pay homage to the original park entrance with fresh takes on classic elements”. ???? - New China Circle-Vision Movie - Confirmed - (7/20/17) Disney confirmed at the D23 Expo that a brand new film is coming to the China pavilion in World Showcase. The new film will put some brand new technology to work with the development of a brand new digital camera system able to shoot the footage for a seamless new Circle-Vision show. No word on when this may be ready to open. ???? - COCO / Mexico Pavilion - Rumor - (7/10/17) Our sources have confirmed that a new update in indeed in the planning stages for the Mexico Pavilion, where the current boat ride system will get revamped and transformed to now be themed to the new upcoming COCO animated film from Pixar, which follows the musical adventures of a young boy who crosses over into the Land of the Dead and a meeting with his family members from the other side. ???? - UK Pavilion / Brave and or Mary Poppins Ride - Rumor - (9/21/18) According to WDWNT, the UK pavilion in World Showcase is still under consideration for a ride. Earlier we had heard rumors of a possible Brave themed ride, or a Mary Poppin's themed carousel, but according to the newest rumor the ride may be some kind of Dumbo style spinning flat ride themed to Mary Poppins instead. (8/9/17) While the rumor I had heard before involved expanding the UK pavilion to include a small Scottland themed area along with a Brave themed attraction, a new article posted here claims that the rumored expansion being planned for the UK pavilion may instead focus on building a Mary Poppins character meet & greet area themed to Cherry Tree Lane. Just my personal opinion, but I'm hoping they stick with the rumor I had heard about bringing Brave to life instead. I've just never been a fan of Mary Poppins in any way, shape or form. (7/10/17) Screamscape sources tell us that a new attraction is planned to be added somewhere next to or behind the existing United Kingdom pavilion. We don't’ know much about this one, other than it is expected to be a more simple flat-ride style experience, most likely to be themed to the film Brave. ???? - The Living Seas / Marine Life Institute - Rumor - (11/7/18) Disney has apparently been sending out some surveys asking questions about The Living Seas pavilion at Epcot. We know there are major plans to refurbish and update much of the park so we may be looking as some early signs about what they could be planning to do with this particular attraction area. Some claim Nemo and Friends could be removed to revamp it all with an entirely original theme and concept, to possibly tie into a new dark ride to be built behind it, others say that they could be looking to link up the rumored Epcot Resort project so that a few very expensive suites would actually have windows directly into the massive aquarium itself. Others believe that they could even go so far as to remove the attraction entirely, but that seems to be the least likely scenario. From the sound of things, even Disney isn’t quiet sure what to do with it yet, thus the guest feedback surveys, so even if something happens, it sounds like it may not happen for quite awhile, while they focus on other projects within the park first. (7/10/17) According to the latest Screamscape rumors, we can expect to see a little remodeling and several small updates take place at The Living Seas as the attraction will attempt to take on the look and theme of the Marine Life Institute attraction seen in the film, Finding Dory. Don’t expect to see a copy of Tokyo DisneySea’s new “Sea Rider” simulator attraction added in, but I’m hearing we’ll see some of the new characters introduced in Finding Dory added to the various existing attractions, and I’m betting we’ll even get to hear voice over recordings from Sigourney Weaver as you stroll around inside. ???? - Imagination Pavilion / Inside-Out Attraction - Rumor - (7/10/17) One of the big new rumors I’m hearing is that rather than waste money on trying to upgrade the old Imagination ride system one more time, instead the park may opt to close it down for good. Previous rumors suggested that the location would eventually become home to a new attraction concept themed to the film Inside-Out, but I haven’t heard any more about this lately, so we’ll have to sit on that rumor for awhile longer. ???? - India Pavilion / Jungle Book Ride - Rumor - (9/20/18) WDWNT has posted an interesting new rumor for Epcot this week, claiming that a possible new World Showcase pavilion themed to India could be in the works. Even better, it would come with a massive new E-ticket attraction that would essentially bring the technology used for Shanghai Disneyland's Pirates of the Caribbean to life in the US, with new a new story themed around the live action Jungle Book movie. I like the concept... but after all these years I'm a bit hesitant to think that Disney will ever add a new country to the World Showcase after trying so many times over the years only to end up with nothing after the opening of the Norway pavilion in 1988. 2022 - New Spaceship Earth - Rumor - (10/12/18) With lots of projects already under way at Epcot, Disney has always hinted that many more updates and new projects were also being prepared to begin in order to update the park experience for future guests. The most likely one we’ve been waiting to hear about would be for yet another massive renovation to come to the park’s iconic Spaceship Earth attraction at the front of the park. According to a new update from WDWNT, plans may be moving forward for just such a renovation, but done in such a massive way that Spaceship Earth could be closed down to guests for 24-30 months. If this turns out to be true look for the attraction to close in early 2020 and remain shut until the 40th anniversary of Epcot begins on Oct. 1st, 2022. Given the amount of time this is rumored to take, this sounds like we could very well see the entire attraction gutted and rebuilt, possibly as something entirely new. Thinking back to the last time Disney began planning a new concept for Spaceship Earth, the plan at one time was to gut the attraction to turn it into some kind of indoor roller coaster style ride that would have been called “SSE: Time Racer”. Early planning and design on SSE: Time Racer was actually taking place at one time until a study of the existing sphere-shaped structure determined that it was unlikely to survive such a transformation and the new internal stresses it would have to endure, so SSE: Time Racer was shelved. With a Guardians of the Galaxy themed coaster under construction next door, I doubt we’ll see the Time Racer coaster concept revived, but it should be very interesting to see where Disney takes this iconic experience next if this transformation goes forward. There, I said it. It is worth noting that I actually wrote most of this piece way back in July… long before it was ever confirmed that Maelstrom was going to close down to make way for a Frozen themed makeover, but for whatever reason, I just wasn't ready to finish it until now. So what’s wrong with Epcot you ask? Historically, Epcot was Disney’s big experiment, opened in 1982 by Disney management after Walt’s death, to create a permanent World’s Fair style theme park environment, with a unique sponsorship focused business plan concept. To this day Epcot is a theme park like no other, and is often cited as the favorite park for many Walt Disney World fans. But I tell you that Epcot has failed… or perhaps it is more accurate to say that the business model created for it has failed. While the Magic Kingdom (and Disneyland before it) were designed to run as huge cross-promotional marketing machines, sharing and promoting the various Walt Disney Studios films, TV shows, and characters, Epcot was designed to be a different kind of beast. 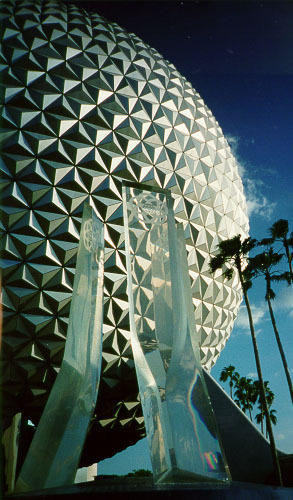 Inspired by the temporary World’s Fair / Expo events that took place across North America during most of the 20th century, Epcot was designed to run under a similar business model, with each pavilion being sponsored by a company, or approved along with a similar co-sponsorship deal by the world nation it represented. In the case of the later, the staff of the World Showcase pavilions are part of a Cultural Representative Program, where natives of that country agree to come work at Walt Disney World for a year at a time and represent their native homeland. Some are sponsored directly by their governments, while most use a mixture of private funding from select native corporate entities. The business model worked at first. Each pavilion was built and later maintained through various sponsorship deals and for many years Epcot worked like a well oiled machine, with guests traveling from across the globe to visit, inspired by the messages of global unity, great technological progress, and the overall concept of “If you can dream it, you can do it.” It wasn’t until the 90’s when the first signs of trouble started, and the problem only got worse as we crossed through the waves of financial and political turmoil of early 21s century. Like many deep set problems, the first signs of change started to bubble up from the core… CommuniCore. In the early 90’s, it became clear that the now decade old futuristic technology on display within CommuniCore was starting to show it’s age. The huge costs of a full pavilion sponsorship made it difficult for many early technology companies to justify the cost to buy their way into Epcot, so the old CommuniCore was removed to make way for Innoventions, a midway of small sponsorship opportunities that could be changed out as quickly as needed. Innoventions had the right idea at heart, but the cheaply made temporary display areas were a turn off to many guests. The American public too had begun to wise-up and sour on the idea of having too much corporate sponsorship. It wasn’t long before many of the Future World pavilions began to lose their sponsorships as previous deals expired and the sponsors would opt out of renewing. While the exact details of these deals are closely guarded secrets, I’ve been told that sponsorship length is typically for a 10 year term. Currently however, there are more pavilions without official sponsorship than those with, and some of the current deals are estimated to be approaching the end of their terms very soon. - Horizons, while no longer in the park, was the first to lose a sponsor, seeing the relationship with General Electric go dark in 1993 as soon as the 10 year deal came to an end. Horizon stayed open for a time without a sponsor, closed down, only to reopen while Test Track was under construction next door, then close again for good in 1999. It was replaced by Mission: Space in 2003 which was sponsored by Compaq, who was purchased by rival HP (Hewlett Packard) before the attraction even opened. I’m actually not sure of the attraction’s current status to know if they have signed an extension of some kind, or if the terms of a new deal are actively under negotiations. - The Wonders of Life pavilion which opened in 1989 with a sponsorship from Met Life, also lost their deal at the end of the first term. Before long it too would experience a sporadic operational schedule, opening in the busy months, before it was closed entirely in early 2007. - Universe of Energy was sponsored by Exxon (later ExxonMoble) up through 2004, and while it hasn’t closed down, it has remained sponsor-less ever since. - Imagination’s longtime sponsor, Kodak, ended their relationship with the attraction in 2010, and it has thus far remained open and sponsor free. - World of Motion is one of the big success stories, as it started out with a sponsorship by GM (General Motors) who has managed to maintain their sponsorship with the attraction through the transformation into Test Track, and even through their own bankruptcy problems, renewing the deal again with the latest update to the Test Track attraction (Version 2.0) just a few years ago. - Spaceship Earth has gone through a series of sponsors over the years (BELL, to AT&T and then Siemens in 2005) but as the icon of the park itself, it has been lucky enough to be a popular sponsorship opportunity. But the question is, will Seimens stay on beyond 2015? - The Land has also had a number of sponsors over the years: Kraft from 82-92 and Nestle from 93 to 2009. Nestle dropped out however, and it wasn’t until 2011 when Chiquita signed a larger deal with the entire resort and cruise line, that they became the sponsor of the Living with the Land ride. - The Living Seas opened in 1986 and was sponsored by United Technology up through 1998, but this is where things get interesting however. Unlike the other pavilions which could be closed down if Disney chose to do so, The Living Seas is inhabited by a large number of marine animals ranging from fish to dolphins to protected manatees. Closing down the pavilion was not an option as the pavilion would still have to be staffed and the animals fed and taken care of, regardless of sponsorship status. It also helped by the pavilion is home to the popular Coral Reef Restaurant, which offers underwater viewing into the main exhibit tank. Unable to find a new sponsor, Disney cut the pavilion’s budget where they could for a few years… axing the preshow film as well as closing the “Seacab” omni-mover ride in 2001 when it started to fall into disrepair. What happened next with The Living Seas pavilion may be paving the way for the future however. Disney found themselves with a huge hit on their hands, thanks to Pixar’s Finding Nemo film hitting theaters in Summer 2003, reeling in the second highest gross for the year at $936 million world-wide. The marine life themed film was the perfect fit for The Living Seas pavilion and Disney began to experiment by adding Finding Nemo themed decorative elements to the pavilion starting in late 2003 and by late 2004 they opened the first Nemo themed attraction within, “Turtle Talk with Crush”. 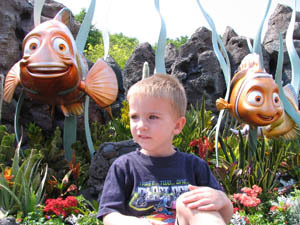 The mini attraction was a smash hit with guests who overwhelmed the limited capacity of the theater it was in, which led not only to it’s own expansion, but the transformation of the entire pavilion into “The Seas with Nemo & Friends” by late 2005. At this point Disney opted to go all in here, and began work transforming the attraction’s old entrance, pre-show theaters, hydrolators and the closed Seacab ride into a new Nemo themed dark ride experience that opened in early 2007. While this was the first time that an Epcot pavilion has been entirely re-themed to tie into a Disney or Pixar animated films, this was not the first time that a Disney film has been brought to life in Epcot.. that honor would go to the 4D “Honey, I Shrunk the Audience” attraction at the Imagination pavilion that opened in 1994 and closed in 2010, with the theme of the 4D film’s “Imagination Institute” was used as the theme for the 1999 version of the revamped dark ride experience. While Future World has thus far received most of the attention in terms of sponsorship and new attractions, the World Showcase pavilions are aging. They have been quietly getting small updates when they can get the countries to agree to help pay for them, but none seem very eager to do so anymore. The last World Showcase pavilion to be added to the park was Norway which opened in 1988 and all negotiations to design and build new country pavilions have failed since then due to disagreeable financial terms for both the building of the pavilion as well as ongoing annual operating expense payments. For example, until the government of Norway opted to step away from their deal with Disney, they were said to have paid $200,000 a year to keep the Norway pavilion running. While Canada and China have all received new films for their show theaters, and Mexico revamped their boat ride about five years ago as well, which saw the introduction of the Three Caballeros characters to lighten the mood and bring a little more entertainment to the experience. However, their presence is said to be scaled back quite a bit from the initial proposal, as the Mexican government resigned a new deal with Disney and asked to keep more of the cultural information in the attraction intact. 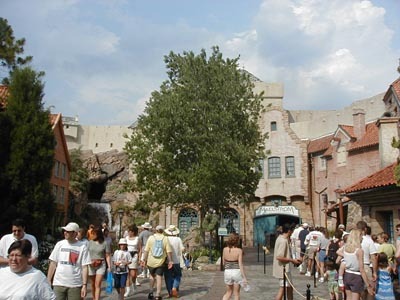 Norway however, found themselves on the block as the last untouched major attraction in World Showcase, but as the government opted out several years ago and Disney found themselves sitting on top of another runaway animated hit in the form of Frozen this past year. They tested the waters with something small (Anna & Elsa character Meet & Greet in Norway) in much the same way they did with Finding Nemo at The Living Seas, and the response was huge… and now the rest is history as Maelstrom has now closed and a new large Frozen themed attraction will open in 2016. It is with this in mind that I say that Epcot has failed… but it is fixable. The old business model isn’t working anymore as we’ve seen Disney forced to take over more and more pavilions… and this isn’t a bad thing, as otherwise I think Epcot would sit stagnant. So while there are those who are upset at Frozen coming to Norway… I’m not one of them and I’m looking forward to it. I look at it with the eyes who remember what happened over at The Living Seas and that pavilion is not only better for it, but I’m hoping we see Disney start to take more of a creative role throughout Epcot, especially in World Showcase, where it would only make sense to add a copy of the new Ratatouille dark ride that just opened at the Paris resort as a starting point, and then look how they can expand into the other World Showcase pavilions as well to breathe some new life into the park. Because Epcot IS a great park… it just needs to evolve and grow to realize it’s true potential. prices are now “Seasonal Based” with Value, Regular and Peak Day Pricing and range between $109 and $159.